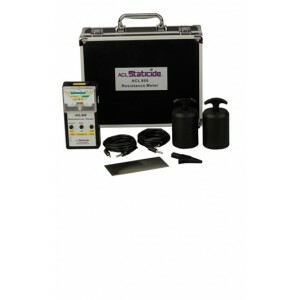 ACL Staticide Analog Megohmmeter Farenheit Surface Resistance & Resistivity Tester Kit w/ (2) 5 lb. Weight Electrodes, 110 Adapter, Cables & Case. 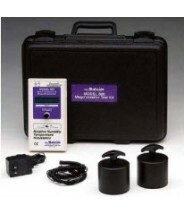 The ACL 850 meter is an easy-to-use analog surface resistance tester. 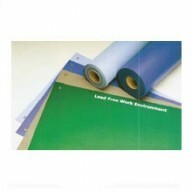 It is designed for measuring resistance of work surfaces and flooring in accordance with various standards including ANSI/ESDA S4.1 for Worksurface – Resistance Measurements and ANSI/ESDA S7.1 Resistive Characterization of Materials – Floor Materials.